Create your own individual Laguso outfit for your horses now! Laura and her team were on the famous Sunshine Tour for four weeks. The Laguso Team will be at the EQUITANA in Essen for the first time from March 9th – 17th. Maximilian Lill, one of the greatest hopes in German show jumping. Born in Bavaria, Lill has been on horseback since childhood and ambitiously sticks to his goals. The Mannheimer and her parents have discovered Laguso for themselves in Leipzig at the partner Pferd 2019. To concentrate on the essentials, to question everything that is, to preserve the elegance of tradition, to captivate in simplicity. Laguso. What does this mean for a designer, what is behind these theses? Buy the current collection in our online shop. Read about us, our riders and the tournaments. Inform yourself about our team clothing. Inform yourself about our care instructions. Laguso offers innovative riding apparel for tournament and leisure riders. 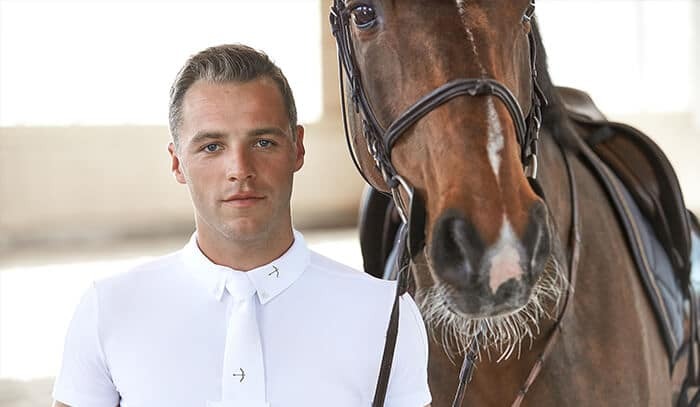 Our fair and sustainably produced tournament jackets, tails, tournament shirts, tournament blouses, tournament shirts, riding shirts, breeches and riding socks are especially functional and breathable. They are distinguished from other brands by their high wearing comfort, the ultra-light, lint-free, fast-drying, wind- and water-repellent high-tech material,which offers a sun protection factor of SPF 50 and yet is particularly easy-care. Combined they give women, men, girls and boys, from size 140, individuality and elegance. Your perfect tournament outfit will be rounded off by our saddle pads,sweat blankets and fly ears for your horse. There is also a variety of matching accessories such as bags, backpacks, ties, leather belts, scarves and caps. 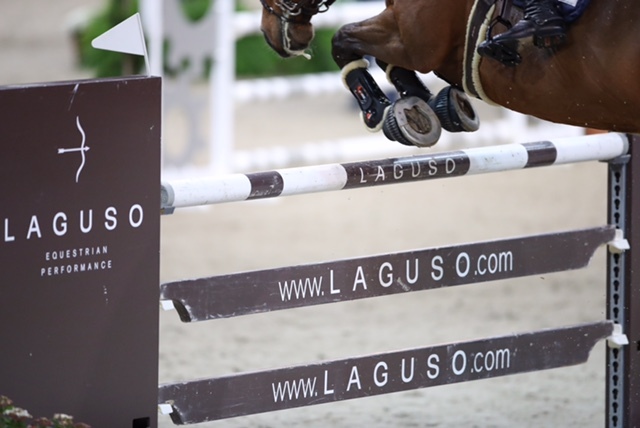 Laguso is not only equestrian sport but also lifestyle. Our leisure collection includes jackets, waistcoats, jeans, sweatshirts, trousers, skirts, t-shirts, blouses, shirts, polo shirts and dresses that will dress you perfectly around the course. From 1991 to 2009, he had an extraordinary track record on the American East Coast. He is responsible for many national and international placings up to 4* level. The youngster from Heilbronn is successful up to class S**. She is successful at national and international tournaments up to 3* level. The Irish show jumper and trained horse owner rides successfully in the advanced class up to 3* level. Tina is on her way in national and international show jumping up to 4* level. Successes such as victories in the Nations’ Cup in Aachen, three times German Champion, European Champion as well as the bronze medal in Tryon were won by Laura during her studies. Fair and sustainably produced, functional, breathable, high wearing comfort, an ultra-light, lint-free, fast-drying, wind- and water-repellent high-tech material and a sun protection factor of LSF 50 distinguish our particularly easy-care tournament clothing.